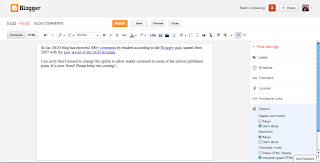 EGO blog has received 300+ comments by readers since the comment feature powered by Blogger was implemented in 2007 with the new layout of the EGO template. I am sorry that I missed to change the option to allow reader comments in some of the latest published posts. It is now fixed! Please keep 'em coming! 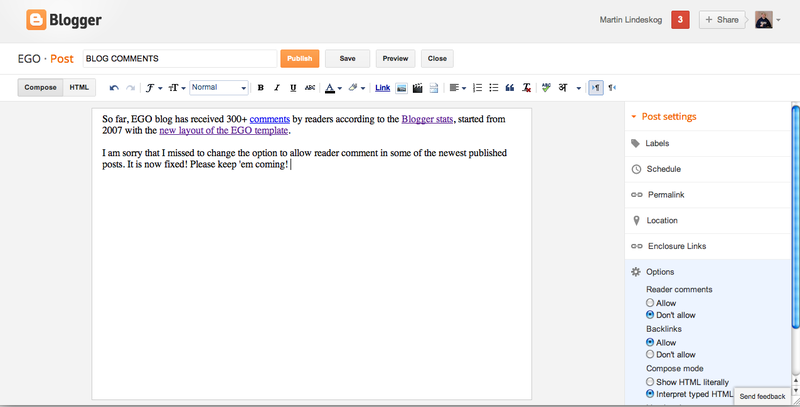 I have now enabled the threaded commenting feature on the blog. How to get more comments by Scott Berkun of WordPress.com (Automattic, Inc.). 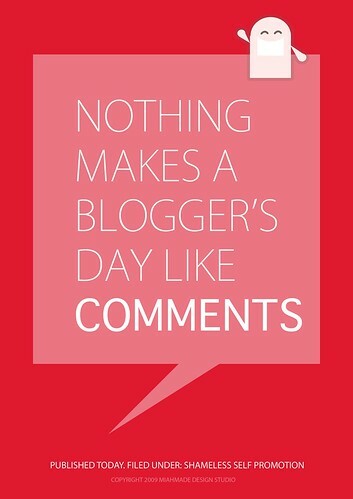 Are Blog Comments Worth It? by Georgina Laidlaw - GigaOM. What is your take on the following comment platforms: Disqus, IntenseDebate and Livefyre?